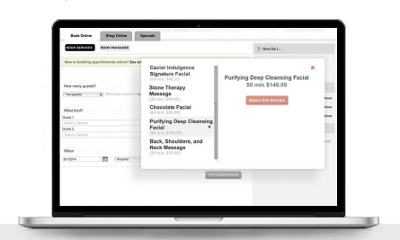 The Booker platform was built from day one as an end-to-end solution to help you run your spa anytime, anywhere. Booker manages every booking, customer, payment and staff member to help spas run efficiently and grow effectively since 2007. Booker provides the tools you need to manage your day-to-day tasks. Customer Management: Learn more about your client’s’ treatment history and product purchases so you can develop deeper relationships with them. Booker Mobile app: Managing your business doesn’t have to happen behind a desk. The Booker Mobile App lets you access your account from anywhere. One of the biggest challenges spas face is growing their client base. With a Booker subscription, you have the power to expand your reach and help potential clients find your business. The Booker Marketing Network makes your business bookable on Google, Facebook and Yelp, to name a few. The Book Now button makes it that much easier for a client to book an appointment with you.